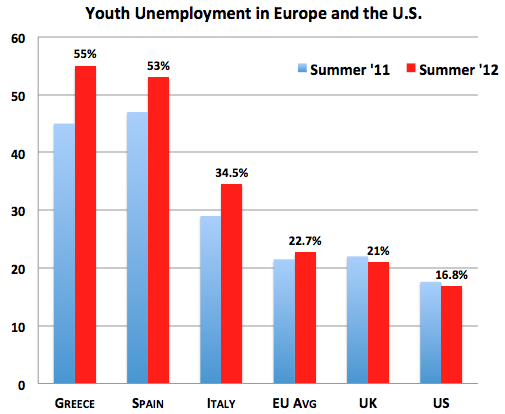 In March 2012, Spain and Greece passed an unenviable landmark of 50% youth unemployment. 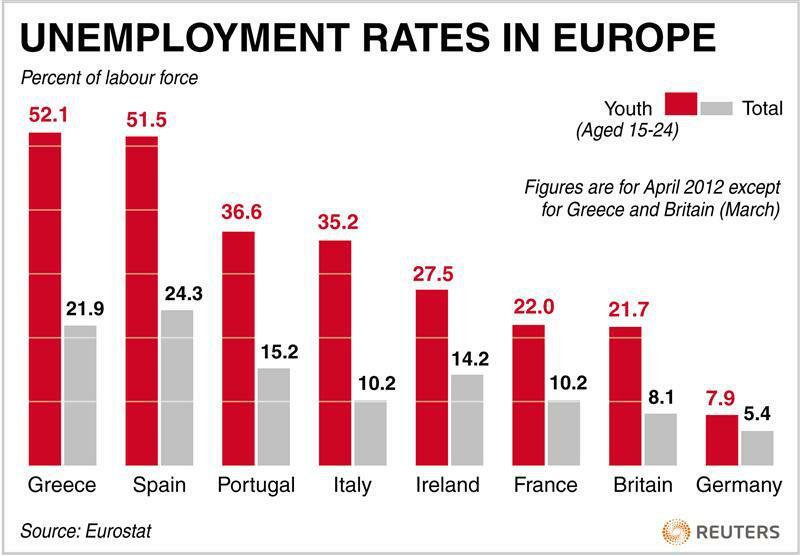 That means there were more Spanish and Greek workers under 25 without a job than with one. Six months later, it’s only gotten worse.